What is hardware acceleration and does Chrome have it enabled? When hardware acceleration is enabled in Chrome, it passes most of the graphical intensive tasks within the browser to the GPU, meaning it makes the most of your hardware. This is good for two reasons: the GPU is designed to handle these tasks and so your browser will perform much better, and by using the GPU it frees up the CPU to do other tasks. Once you've enabled hardware acceleration, it's important to know if it's even worth having on or if you should turn it back off. There are numerous tests you can run to see if hardware acceleration is actually doing anything useful. See the "How to Know If Hardware Acceleration Is Helping" section below for more on that. 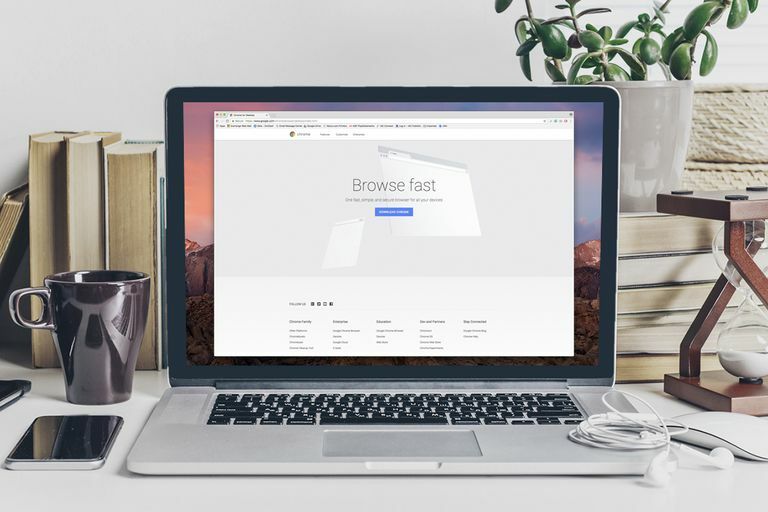 Below are detailed steps to enable hardware acceleration in the Chrome browser, as well as information on how to disable acceleration if you have it enabled already. Keep reading to also learn more about hardware acceleration. Is Hardware Acceleration Already Turned On in Chrome? The best way to check whether hardware acceleration is turned on in Chrome is to type chrome://gpu into the address bar at the top of the browser. A whole host of results will be returned but the bit you're interested in is the section titled "Graphics Feature Status." The important thing to look for is to the right of each of these items. You should see Hardware accelerated if hardware acceleration is enabled. Some might read Software only. Hardware acceleration disabled, but that's fine. The majority of these entries, like Canvas, Flash, Compositing, Multiple Raster Threads, Video Decode, and WebGL should be turned on, however. If all or most of your values are set to disabled then you should read on to find out how to turn hardware acceleration on. Enter chrome://settings in the address bar at the top of Chrome. Or, use the menu button at the top right of the browser to choose Settings. Scroll to the very bottom of that page and choose the Advanced link. Now scroll to the very bottom of that page of settings to find some other options. Under the System heading, locate and enable the Use hardware acceleration when available option. If you're told to relaunch Chrome, go ahead and do that by exiting any open tabs and then opening Chrome again. If you see that the "Use hardware acceleration when available" option is already enabled but your GPU settings show that acceleration is unavailable, follow the next step. Locate the section on that page called Override software rendering list. Change the Disabled option to Enabled. Select the blue RELAUNCH NOW button when it appears at the bottom of Chrome after enabling hardware acceleration. Return to the chrome://gpu page and check whether acceleration is enabled. At this point, Hardware accelerated should appear next to most of the items. If they still show up as being disabled, it could signal a problem with your graphics card or the drivers for your graphics card. This guide shows how to update the drivers on your computer. Turning off hardware acceleration in Chrome is as easy as repeating the above steps for turning it on, but removing the option instead of enabling it. Navigate to chrome://settings in the address bar. At the very bottom of that page, select the Advanced link. Scroll to the very bottom of the page again, and look for the new "System" heading. Locate and disable the Use hardware acceleration when available option. Close and reopen Chrome if you're told to. When it starts back up, enter chrome://gpu in the address bar to make sure Hardware accelerated is disabled. Click here to see whether hardware acceleration works better on or off. The site is provided by Mozilla who are the people behind the Firefox web browser, but the tests work equally well in Chrome. The page provides a number of links which will show how well your browser performs. For example, a very simple demo is provided by this animated blob, but there are further examples including these draggable videos and this 3D Rubik's Cube. If you have a decent graphics card, try finding websites with high-end Flash animations and games to see whether there's any stuttering. Also, try watching high-definition videos on YouTube and make sure the video is crystal clear. Unfortunately, hardware acceleration can't help with buffering (this has to do with your internet connection). However, you might find that other features of Chrome perform far better than before. As an example, say you run this fireworks animation and find that you don't see any fireworks or the animations are really slow. So, you turn hardware acceleration on and repeat the test and see that it animates perfectly and works like you'd expect. If those are your results, then hardware acceleration is probably best kept turned on so that the browser can use your hardware to perform better. However, if you see stuttering or the animation doesn't move at all, and hardware acceleration is enabled, then chances are that acceleration isn't doing you any good because your hardware is low-performing or the drivers are outdated, in which case you could replace the hardware or try updating the software. There are a number of components that determine how well each computer performs. For instance, a central processing unit (CPU) handles all the processes running on your computer and deals with the interaction between the software and the hardware. The more processors your computer has and the quality of those processors largely determine how fast your computer will work. The CPU isn't the only important factor. Whilst the CPU governs the running of the processes on your computer, the Random Access Memory (RAM) determines how many processes can be running at once. When you run out of memory there is usually some form of swap file on your computer which is used to store idle processes. Disk swapping is bad because the slowest component on your computer is your hard disk drive. Recalling items from a swap file is bad for performance. This brings us to the next device that has really helped boost performance: the solid state drive (SSD). An SSD enables you to store and read back data much faster than a standard hard drive. The main point of this article, however, is to do with hardware acceleration within Chrome, and what this refers to is graphics processing. Most modern computers have a graphics processing unit (GPU). The quality of your GPU is usually determined by how much you paid for the computer. Gamers will spend a lot more on their computers in order to get a really good graphics card since this device is used to perform mathematical calculations and heavy-duty graphics processing tasks like 3D rendering. Quite simply, the better the graphics card the better the experience. You would be right in thinking, therefore, that in 99.9% of cases you will want to have hardware acceleration turned on. So, why would you ever want to disable hardware acceleration? Some people have reported that they get better performance with hardware acceleration turned off. The reason for this is likely to be because the graphics card isn't working properly or they might have the wrong driver installed. Another reason for turning hardware acceleration off might be to reduce power usage when you're using a laptop running on battery.